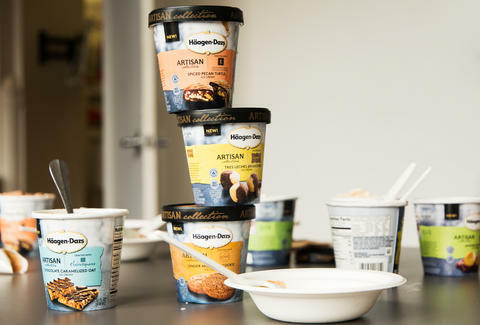 With Ben & Jerry's leading the charge into crazy-flavor territory land with cookie cores and, uh, possibly other substances, other ice cream companies can sometimes get lost in the cloud of smoke (ahem) they leave behind. 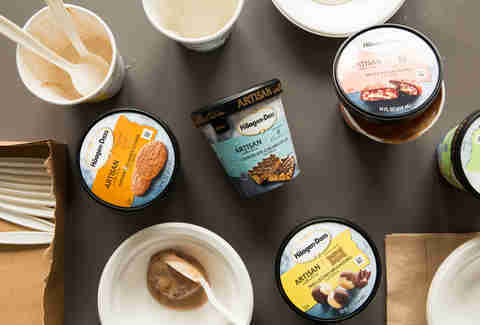 Solid competitor Häagen-Dazs has been around since 1960, was founded on the principles of artisanship, and has decided to leverage its pedigree into a new lineup of Artisan Collection ice creams: Tres Leches Brigadeiro, Banana Rum Jam, Chocolate Caramelized Oat, Spiced Pecan Turtle, and Ginger Molasses Cookie. To make them, they paired with local food artisans across the US (in places like San Diego, Brooklyn, and Kansas City) to come up with some new, inspired flavors "using the finest ingredients." 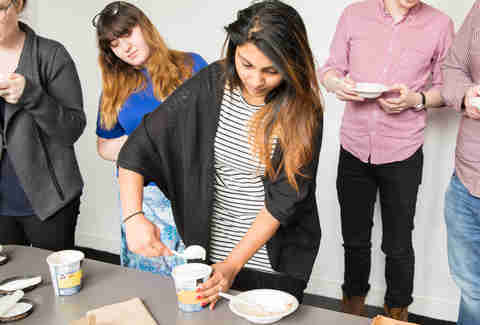 Naturally, we got a bunch of people from our office to try them. Here's what they thought about each one. Poll: Which Flavor Should Ben & Jerry's Infuse With Weed? 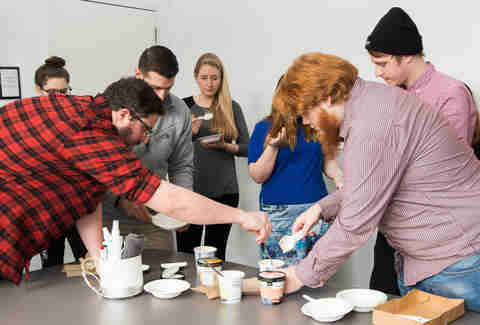 Most of the people we were able to convince to eat free ice cream liked the Ginger Molasses Cookie flavor the most, and agreed that its textural differences made it stand out. The other varieties had a couple adherents each, with a few tasters bemoaning the overall lack of "crunchies" in the rest of the lineup. 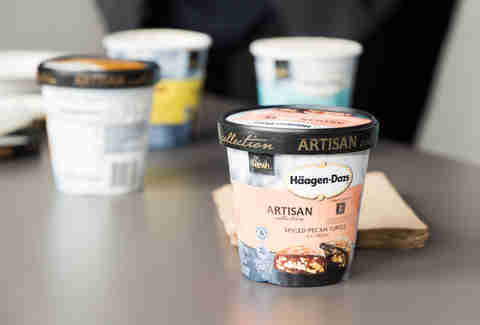 Häagen-Dazs is venturing into some intriguing territory with the Artisan Collection, and we're excited to see what they can craft next. The collection hits grocery store shelves this April. Adam Lapetina is a Food/Drink staff writer for Thrillist, and also enjoyed the Ginger Molasses Cookie flavor. Read his musings at @adamlapetina.